If you are the 'Kimbolton Charity Classic and Country Fayre' Show organiser and you would like to update or amend the details shown, please contact us. Thank you. When is the next Kimbolton Charity Classic and Country Fayre? Sunday 14th July, 2019. Kimbolton Charity Classic and Country Fayre is listed under July 2019 Shows. Although we try to keep the information for this event as up to date as possible, we cannot guarantee that things haven't changed at the last minute, and we haven't been informed. Therefore, please contact the 'Kimbolton Charity Classic and Country Fayre' event holder directly to confirm all details (especially event name, dates and location) before setting off to Kimbolton Castle. 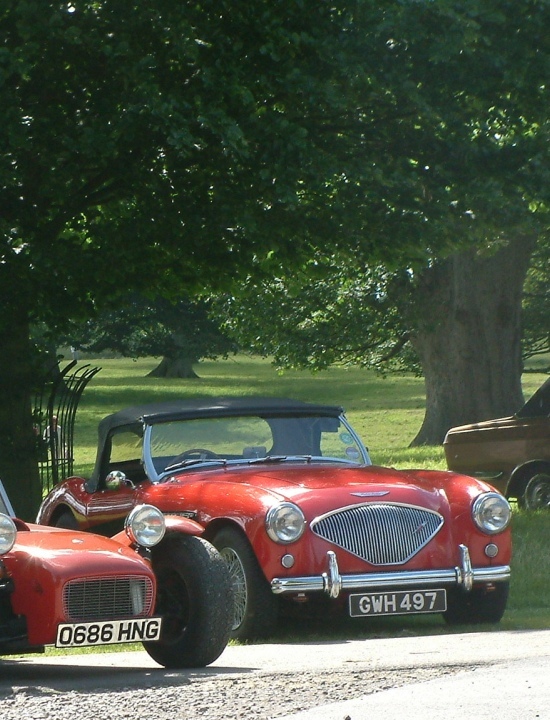 The Kimbolton Charity Classic and Country Fayre is planned to take place at Kimbolton Castle, Cambridgeshire, Sunday 14th July, 2019. Kimbolton Country Fayre is now in it’s 28th glorious year, a spectacular charity event for the whole family, organised by volunteers from The Rotary Club of Kimbolton Castle and The Sporting Bears Motor Club. It is held in the beautiful grounds of Kimbolton Castle in Cambridgeshire, the home of Kimbolton School which has generously supported this event for many years.